“True yoga is not about the shape of your body..
Jivamukti Yoga, developed by Sharon Gannon and David Life in New York in the early 80’s, provides the modern yogi a practical way to embody century old teachings in the world today. Based on the yogic tradition and grounded in ethical practices, Jivamukti —which means “living liberated”, is a rigorous physical practice combined with practical philosophy that teaches how to live in the modern world with more joy and compassion. Five basic concepts are evident in Jivamukti Yoga core philosophy: nonviolence, devotion, meditation, scripture, and music, and they are an integral part of the practice. 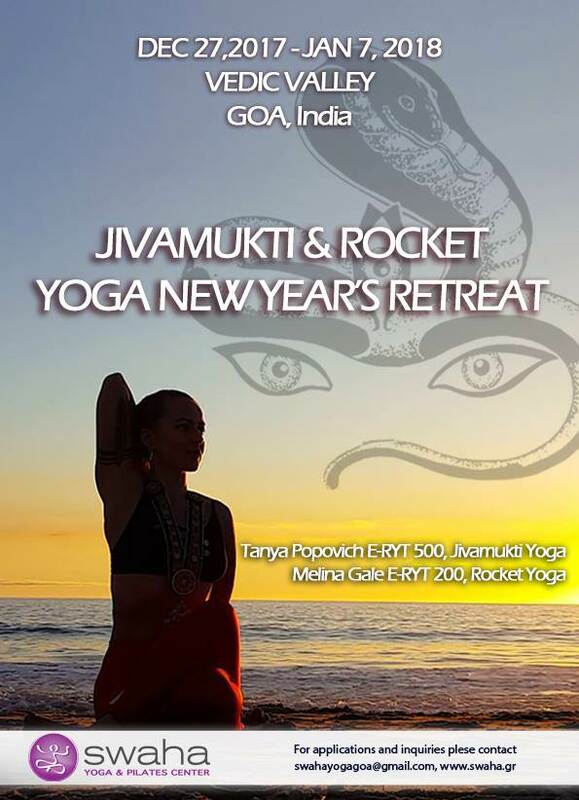 Jivamukti Yoga is taught worldwide at Jivamukti Yoga schools and affiliated centers. 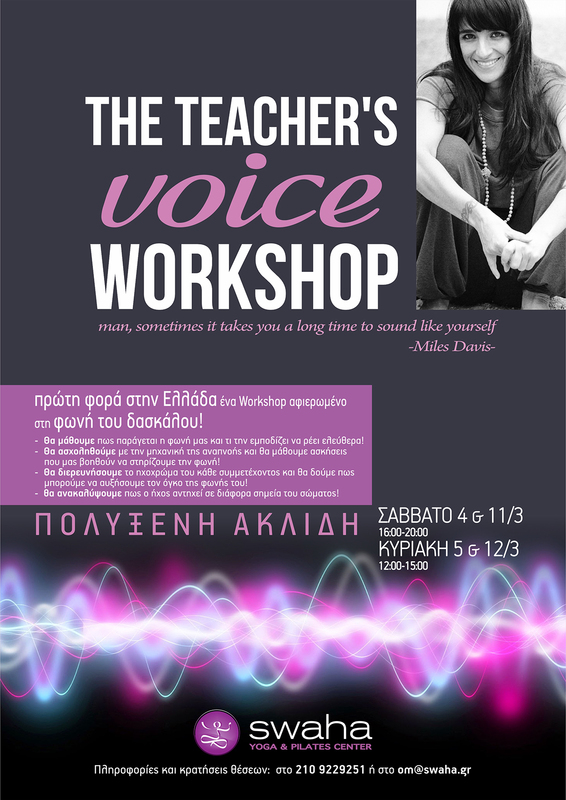 Swaha Yoga Center has joined this large family in 2013 as the first Jivamukti Yoga affiliated center in Greece. For more on the method and Jivamukti Yoga class, click here. Pilates Equipment Classes in Swaha Yoga Center. We offer classes in small groups, especially designed for your own body. Our teachers have advanced training, in accordance with the international standards for Pilates professionals. Pilates is for everyone! It is a method of exercise that incorporates the use of mind, body and breath, making the body stronger, healthier and fit. However Pilates is not only for those looking for a good workout; it is great for seniors, for rehabilitation of injuries, for dancers that need to strengthen without losing their flexibility, for people with scoliosis. Everybody can benefit by exercising Pilates. Swaha Yoga Teacher Training is based on Hatha and Vinyasa Yoga, so that upon completion of this program the trainees can include any kind of audience and adopt the teachings according to the students' needs. The educational program of Swaha Yoga Center teachers, led by Tanya Popovich, is a combination of many years of experience, expertise, and thousands of hours of training, concentrated in a transformative experience, lasting one month. - Tanya Popovich ERYT-500, Yoga Acharya (Master of Yoga), internationally acclaimed with long experience in the field, is the founder of Swaha Yoga Center, certified Jivamukti Yoga teacher, with a long history in traditional and new Yoga systems.